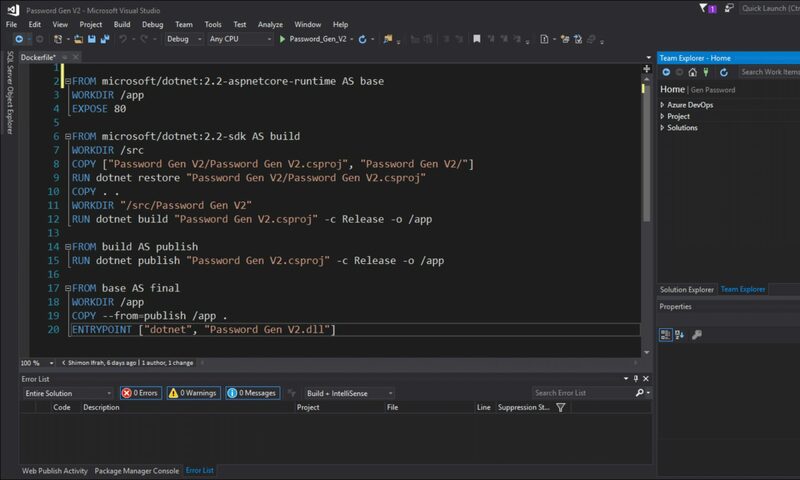 Last week, the Microsoft Visual Studio team released the Visual Studio Kubernetes Tools for development of containerized applications for Kubernetes. Using the Tools, Visual Studio can create the configuration file as DockerFile or Helm charts and publish the application directly from VS to Azure Kubernetes Services (AKS) cluster. To publish the app to AKS, you will have your AKS cluster setup for more details visit my article about setting up AKS cluster in Azure. To get started, I have Visual Studio Installed on my machine and Docker for Windows Edge channel with Kubernetes enabled. Once Installed I will open Visual Studio and create a new project.